So, we thought it would be good to get you involved as un-biased judges. Although you may not remain un-biased when we tell you that the winning couple will receive a stunning 10″x8″ table top acrylic photo worth £95. We’ve narrowed our favourites down to 12. Please leave a comment at the end of the post telling us your favourite and, if you like, why you chose it. It may take a day or two before your comment appears as we have to approve every one in order to foil those pesky spammers. We will count up the votes and announce the winning shot. Naturally, we will count only 1 vote per person commenting or e-mail address (so you can’t say me and my 15 mates vote for numbers 3 and 6). Voting will close in 4 weeks time or sooner if there’s a clear leader. I vote for Anne Marie and Ben. Claire Barnes - Anne and Ben!!! Stephanie James - I vote Simon & Stephanie! I know i’m biased, but i don’t care, the picture is stunning! Simon James - Simon & Stephanie – You made us look like an Austen novel, photographic genius!!! Tim Clark - I love the atmospheric shot of the couple called Simon & Stephanie set against the backlighting of a late summer evening. It really captures the magical moment of the newly weds special day. Sharon Clark - I vote for Steph & Simon. It evoked the feeling of a love story from a romantic historical novel!!!!! Peta Bicknell - Simon & Stephanie. Beautiful shot! Simma - Three words- Si and Steph!!!! The standard of photography is top notch but my vote goes to Simon & Steph- the photo looks like a still from a movie. ELaine Heslop - The other couples look lovely but Simon & Steph look amazing! I didnt even recognise them at first! LOL. Trevor Heslop - I vote for Steph and Simon James- The lighting,pose and the love that jumps out of this photo is breathtaking! Jessica Lapping - Steph and Simons picture should win by far, it is a stunning picture, the sunset is amazing and they look perfect! John James - I vote for Si & Steph ‘sense & sensibility’ the perfect love story couple captured in a beautiful setting. Chris James - Simon & Steph the best photo, most beautiful wedding and because I love them. Colly O'Donovan - I vote for Ben and Annie. It’s a picture full of happiness just like their wedding day. Jenny Watts - I vote for Annie and Ben, it’s the cheeky grins that do it! 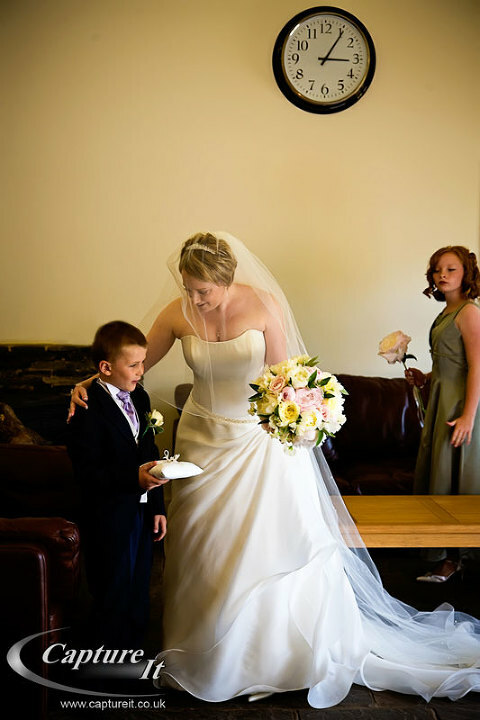 Hannah Minty - I love the photo of Annie and Ben, it captures the day so perfectly. A beautiful picture, very natural. Anne Marie Pocock - I am clearly totally biased but this is probably my all time fav photo of the two of us so I just have to vote for it – Anne Marie and Ben! Becca - I vote for Annie and Ben, a beautiful picture which perfectly captures all the emotions of a wedding day. Stunning! Lorraine Joyce - I would like to vote for Anne and Ben – what a stunning photo! Clear winner!!! Matt - I vote for Ben and Annie. Their photo’s great – looks like a professional shot it. Emma and Ben Keep - We vote for Anne Marie and Ben.. stunning! Bhavini Curtis - I vote for Anne-Marie and Ben – beautiful photo! Stephen Clark - I vote for Simon & Stephanie, you caught the light at the perfect moment. The composition, the atmosphere, the memory it leaves us with is in short perfect. Tobias Walker - Si and Steph! That is simply the best wedding photo I have ever seen! Helen Dent - I dont know any of the couples in the photos. I vote for Simon and Stephanie as it really is the photo that stands out for me. Do we get to know which of you took it? Thanks for your comment and yes, we will tell all when the favourite has been selected. You may be interested to know that 6 of these photos were taken by Richard and 6 by Sarah. Selina Davidson - I vote for Simon & Stephanies photos. It really is a beautiful shot. The shot could be from the front cover of a romance novel! Muriel Ajchenbrenner - I am voting for Anne Marie and Ben – this photo captures a secret moment between the 2 of them, and only the 2 of them will ever know what they were laughing about. Beautiful memories! Oz Williams - Anne Marie & Ben get my vote. Tasha - Think the shot of Anne and Ben is gorgeous and it should definatley be a winner. San Jutla - Ann Marie and Ben – lovely! Grace O Brien - I vote for Ben and Anne-Marie, a totally perfect shot. Tracey Gould - I vote for Ben and Anne Marie, its beautiful. jade daws - i would like to vote for Anne and Ben they look blissfully happy on their day you have captured their special moment. Kelly Sangha - I don’t know the beautiful couple but I vote for Ben and Anne Marie. So in love and so romantic. Aman Sangha - I definately thought this one stands out so I vote for Ben and Anne Marie. Rebekah Cacia - When i first looked through their album this photo immediately stood out, its so beautiful it took my breath away, Annie and Ben to win! Ben Millington - Anne Marie and Ben – a fantastic photo. Robin Rugeris - Anne and Ben number 10. Its lovely. Brian Abrey - I vote for Simon & Stephanie – a private moment together as a married couple, in a romantic setting! Katy Darville - I vote for Anne Marie and Ben! Samantha Harden - I vote for Michael & Samantha – I feel I deserve the winning prize just for getting into that waterfall in my Vera Wang dress!!! 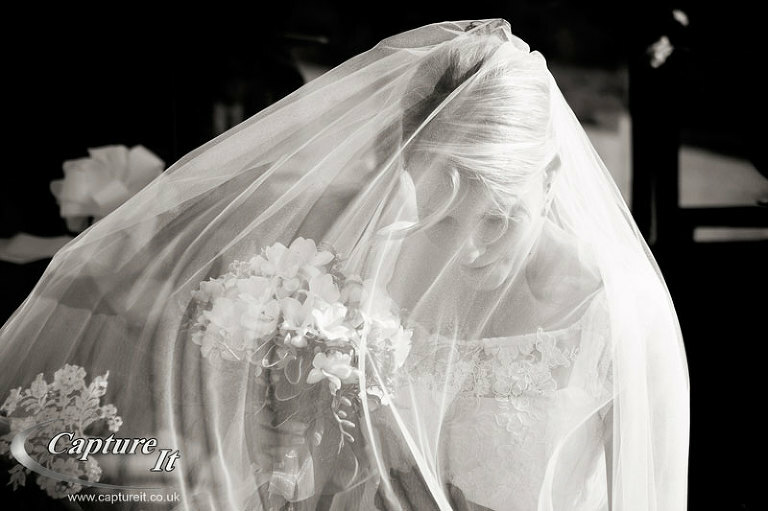 Laura Payne - I vote for Michael and Samantha because it was the most amazing wedding and this shot is just beautiful. kirsty mason - I vote for Michael and Samantha! Kayte - I vote for Michael and Samantha. Not only is the back drop gorgeous, but they look so in love. James Handley - I vote for Sam & Michael. Stunning couple & scenery is spectacular. Justin Moule - I vote for Michael and Sam – a very romantic photo that also captures their personalities. Dan Kalhor - I vote for Michael & Sam. Julian McCormack - Great pics all round; the one of Samantha and Michael is particularly spectacular and gets my vote! johnSutton - I vote for Michael & Samantha – the photo is stunning and I was there!! Fiona Mclelland - I vote for Sam & Michael. What a picture! Must have been an amazing experience. Lauren Schia - JOE AND ELLIE-MAY!!!!! Chloe Smith - I vote for Michael and Samantha, number 12. What a fantastic photograph of them together! Natalie Street - Michael and Samantha, stunning! Helen - Definitely Michael and Samantha. It looks so beautiful! Jon Digby - I vote for Michael and Samantha’s waterfall wedding shot. Jo Roffey - I vote for Joe & Ellie-may – a perfect photo for a perfect day! Luke Roffey - I vote for Joe & Ellie-may – fantastic photo! Nuria Vellon - This is a gorgeous picture of Michael and Samantha. Stunning photo and beautiful setting! Tizzy Morgan - I vote Steph and Si, its the most beautiful picture!! The atmosphere captured is amazing!! Arran Bees - Sam & Michael get my vote, stunning photo! Gaby - I Vote for Anne Marie and Ben number 10. Beautiful shot!!! mitra williams - i vote for ben and anne marie….though, there is some serious competition there! James wicks - I vote Anne and Ben number 10. Great shot!! Gideon - i vote for joe and elliemay, lovely picture, amazing couple. joe…….what a guy, i mean yes joe…..yes!!!!!! Eve Dove - Samantha and Michael – what a romantic, beautiful moment captured! Claudia and Myles - We LOVE the picture of Samantha and Michael!!! Stephen Holder - No. 3 Andrew & Emily features a wonderful expression on the bride’s face, with the couple beautifully framed by the church door and will plenty of interesting action going on around them. It was a nice touch to include the rose window. My vote, however, goes to no. 6 Priyan & Hester, because its such a beautiful shot of the couple in a fabulous architectural setting. Black and white is a good choice for showing off the pattern of the fan vaulting on the ceiling. The lighting is fabulous and the timing is spot on, with the couple just in front of the bright spot on the floor and the bride moving her outer leg forward. I love the way their bodies are angled towards each other, the way their hands cross in the space between them, the way the groom is down and back at his bride, and the billowing dress behind, just catching the light. Jake Roffey - I vote Joe & Ellie-may ! Andy Roffey - I vote Joe & Ellie-may! Great photo! Jan Hare - I vote for Joe & Ellie-May. 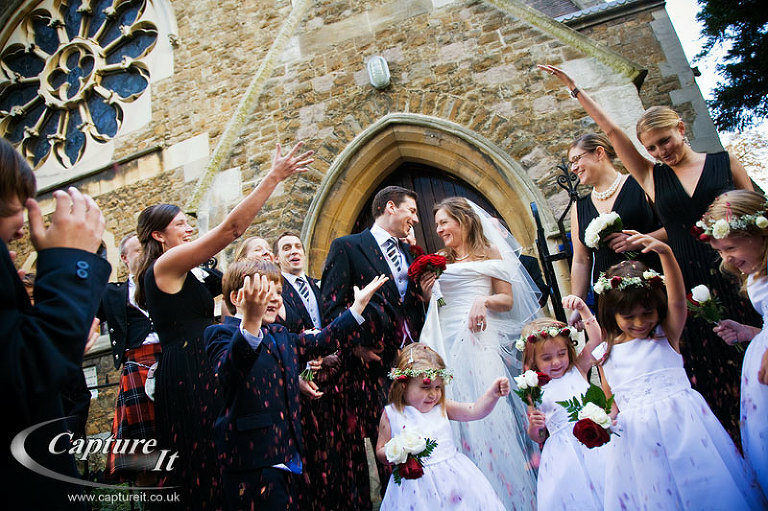 Wonderful photos which added to a really lovely day – to be remembered forever!! Andrea - More than a few gorgeous shots to choose from but my vote goes to Samantha and Michael. I think its tender and original! Wendy O'Sullivan - I vote for Samantha and Michael. Jade - I vote for Samanthan & Michael. ami alani - Samantha and Michael get my vote, absolutely gorgeous setting and couple! Gemma Prebble - It has to be Simon and Stephanie. It is every girls dream in print! Elena Kruncheva - I would like to vote for Samantha and Michael, one of my favorite wedding couple. They look so beautiful and really in love in the nice Pirin’s river surrounding.Good Luck! Kay - I vote for Michael and Samantha, what a fantastic location! darlene beavis - I vote for Samantha and Michael a beautiful couple loved by many people. This picture is stunning. Martin Heale - Definitely Michael and Samantha. Different and stylish. Katie - I vote for Samantha and Michael. It certainly is brave! Mark Frost - I’m voting for this one! Louise Johnson - I vote for Michael and Samantha! Karen Sayer - Definately vote for Michael and Samantha! Karen Digby - I vote for Michael and Samantha. A beautiful couple in a picture perfect setting. Tracey Geeves - My vote is for Sam & Michael. 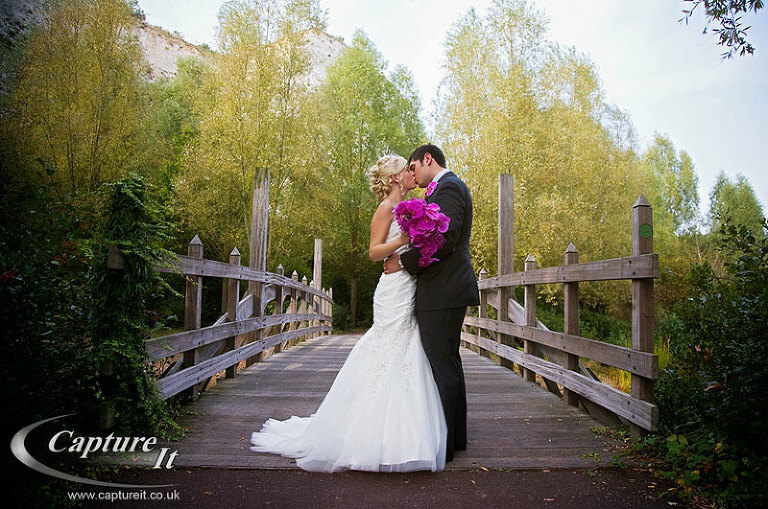 Claire - Definitely Michael and Sam – I have never seen such amazing scenery for a wedding photo. Very cool ! Mark Frost - I vote Michael and Samantha! Jenny Wright - My favourite is No. 12 Michael & Samantha. What a unique setting for a wedding photo. Absolutely stunning! Bev - I vote Michael and Samantha. Liz - I vote for Sam and Micheal – great piccies! laura isaac - i really like Samantha and Michaels picture – it is such an idylic surroundig and looks like something i could only dream of, samantha and Michael to win!!! Matthew Harden - Michael & Samantha. A truly stunning setting. The most Beautiful bride of all. And my brother aint half a hansom devil. Victoria - I vote for Michael & Sam!!! This is a very picturesque photo and the couple look stunning…..
Andrew Fenlon - Michael And Samantha (12). What a brilliant shot!! Charlotte - I vote number 10 – Anne and Ben. Love this shot, pictures fabulous! Az - I’d like to vote for 12. Michael & Samantha – must have been tough to get in that spot and photo manages to capture the light and fluidity of the water perfectly with impressively sharp focus on the subjects. Also nice dress. jon miller - Michael and Samantha. Its gorgeous innit! Mel - I vote for Sam & Michael- the photo is absolutely beautiful! Neil Harden - 12. Michael & Samantha, gets my vote. Biased yes, but damn those kids looked great! Chris Harraway - I vote for Michael and Samantha, very cool. James Purnell (JP) - Michael & Samantha. Stunning photo for a stunning couple. emily dodd - Definately no.12 Samantha and Michael. Beautiful setting and beautiful people! Norma Purnell - I vote for Micheal and Samantha. I think the water fall adds a smashing dimention and is very rare and gives the photo a romantic feel. Michelle Drury - I vote for Sam and Michael, what a stunning photo. Verity - I vote for 10. Ben & Anne Marie. The blurred background makes the photo completely focused on the bride & groom which captures the moment. You can see they’re having fun! Juliette Seymour - Love Samantha and Michael’s Picture … magical! Yvonne - I vote Michael & Samantha, the blatant winners! Joe blowers - I vote for joe and elliemay. Anything with my lovly wife in deserves to win. Nic - I vote for Ben and Anne Marie – beautiful photo. CaptureIt - Adrian, what an excellent comment! Who’d have thought that this was the back of Bluewater just off of the M25?! Laura Blenkinsop - I vote for Ben and Anne Marie’s photo- its stunning!!! Samantha Morgan - I vote for Anne-Marie & Ben. The image epitomises love and they look so completely natural. It is a truely beautiful shot and so perfectly captures the moment. CaptureIt - Thanks! But which one? Sophie weller - Michael and Sam! How gorgeous is that!? Davide Bettoni - I vote for Simon and Stephanie-wow! They are straight out of the pages of a victorian love story with a very modern edge! ann - Alexey and Olga – just superb! lucille hind - My favorite is michael and sams – so original- and yes very brave considering you were wearing a beautiful vera wang dress! hannah bishop - My vote also goes to michael and sam, this would look lovely in an elegent frame – what a day to remember! abbey banbridge - I think michael and sams is just so original ive never seen anything like it! mick haynes - i think michael and sam deserve to win, i am a non-biased voter and i truly think this photo stands out as unique but genious. Lu - Anne and Ben should so win! Its a proper wedding picture. The others are nice but this is a classic wedding photograph and should win wedding photo of 2009! Keiran C - Michael and sam. This is such a lovely photo. PhotoLover - Samantha and Michael! The scenery is just fab! Janka F - Michael and Samantha – wow I wish I had something interesting like this taken at my wedding! Tonya Dhindsa - I most deffinatly have to go with anne and ben! Not only is the capture lovely but also how natural it is! Joshua Dhindsa - anne and ben, is the best capture! Dave Dhindsa - anne and ben! Bibban Bahd - most deffinatly anne and ben! Isabel Lee-Pearse - I vote for Ben and Anne-Marie! Beautiful! Emily Burr - I vote Si and Steph, the sunlight in this photo is amazing, stunning photography well done! martin forbes - My vote is for Michael and Samantha -how magical! leila gunaydin - hello! I think michael and sams is the best shot! helen welch - Michael and sam! – brill! James - Anne and Ben.. the focus is totally on the couple and their happiness on their wedding day, nothing else distracts you. Brilliant shot! Ashleigh Tilley - I vote for Anne Marie and Ben! Elisabeth Takacs - Annie and Ben to definitely win! CaptureIt - Competition now closed!